Joyce Rae Inman, the daughter of Clarence Leroy and Opal Maxine (Todd) Snethen was born April 18, 1948 in Leon, Iowa. She passed away on Thursday, February 15, 2018 at the Elm Heights Nursing Home in Shenandoah, Iowa where she was in Hospice Care, as a result of ovarian cancer. Joyce was raised in Lamoni, Iowa and graduated from Lamoni High School. Joyce attended Graceland College in Lamoni, Iowa for 2 years, and received her B.S. degree in Home Economics Education from Iowa State University in Ames, Iowa. While she was in graduate school at Iowa State studying Historic Textiles, she met her future husband, Tim who was completing his degree at Iowa State also. They were married in Lamoni, Iowa on August 8, 1971. To their union, two sons were born: Chad Byron and Jonathan Clarence. Her family was always her most important focus. She enjoyed spending time in the kitchen baking and preparing meals for her family and their friends. She was a stay-at-home Mom while her children were in school, a den mother for their cub scouting years, and a Sports Mom for all the various sports the boys played. Joyce was a natural-born teacher. She loved teaching and her students. She began her teaching career in Yutan, Nebraska. When Tim and Joyce moved their family to Wisconsin, she continued her education earning a Master's Degree in Historic Environments from the University of Wisconsin, in Madison, Wisconsin. She taught design at the University of Wisconsin and became a Licensed Interior Designer and member of the American Society of Interior Designers. She did the historic structures research for the restoration of the Wisconsin State Capitol and working with private and state architects, was the key author for a number of the Historic Structures Reports books written to guide and direct the capitol restoration projects. She was an expert in the beaux-arts neoclassical style of grand public buildings, and especially in the design work of architect George B. Post. She received a special commendation for her work from the governor of Wisconsin, Tommy Thompson. Following Tim and Joyce's return to their family farm near Randolph, Iowa in 2000, Joyce renewed her teaching credentials to enable her to return to the classroom and again fulfill her calling as teacher. 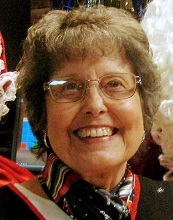 Joyce taught Family Consumer Science at Stanton, Iowa and at Shenandoah, Iowa. Her goal was to teach until she was 70. Her disease interfered with this goal, cutting it shorter than she wanted. She loved teaching and cared deeply for her students. These final years of classroom work were, for her, the sugar at the bottom of her cup. Joyce had a deep and enduring faith and was active in her church, the Community of Christ, throughout her life. She served in a number of capacities including being an Elder and Pastor. She was a member of P.E.O. Joyce was preceded in death by her parents and her father-in-law, Byron Inman. 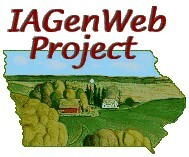 She is survived by her sister, Nancy (David) Stewart of Estero, Florida; her husband, Tim Inman of Randolph, Iowa; son Chad Inman of Madison, Wisconsin; son Jon (Tracy) Inman and grandchildren Miles and Evelyn of Sun Prairie, Wisconsin; mother-in-law Marcia Inman; brother and sister- in-law Todd and Paula Inman of Tabor, Iowa, and brother and sister-in-law Beth and Rod Blackburn of Tabor, Iowa. She is also survived by her AFS-US children, Martin Savoia of Reconquista, Argentina, Carola Stender of Hamburg, Germany, Angie Sanches of Cartago, Costa Rica, and Carlos Salas of Ciudad Quesada, Costa Rica. In addition, Joyce is survived by a large extended family, a host of nephews, friends, and colleagues. Joyce was loved by all who knew her and they were touched in their lives by her presence. She is at peace with her God now. Celebration of life memorial service will be held 1:30 pm, Saturday, May 5, 2018 at the Community of Christ Church in Shenandoah, Iowa. In lieu of flowers, contributions may be made in her name to the Community of Christ for Orma's Orphans' Fund or to the donor's choice directly. Burial of cremains was held at the Randolph Cemetery in Randolph, Iowa.